We are living in a world where most of the communication goes through technology. With text messaging and emailing taking a huge part of how people communicate with each other, there’s an increased appreciation of an actual, formally addressed mail piece in our mailboxes. This is especially the case with printed wedding invitations. 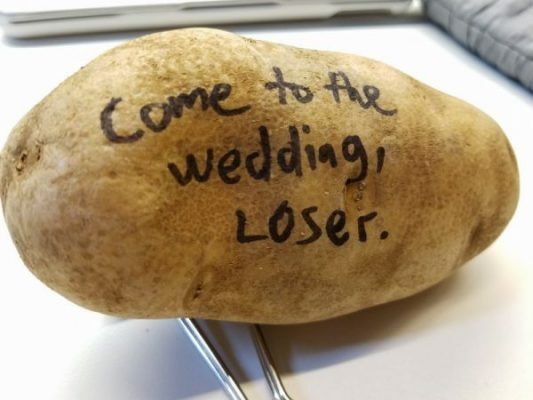 Even though technology takes over most of the correspondence, most people are still eager to make and send out their unique, funny wedding invitations. It’s only natural, wanting the first news about your wedding to be just perfect. A wedding invite gives the guests a peek into your magical day, which makes it even more important to create a delightful design. 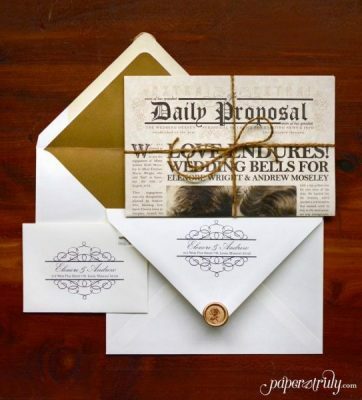 If you find some amazing, perhaps even handmade invitations to use for your wedding party, people will already love your wedding even before they check the ‘yes’ option on the RSVP card. A lot of things make a wedding invitation unique and funny. In this article, you’ll find ten well-designed funny wedding cards. You can choose between the top options available in terms of fun wedding invitation wording and design. Enjoy! When people hear of a ‘killer party’, they think of people having a great time. This invitation takes the phrase a step further, and a bold one for that matter. If you want to surprise the guests and make them laugh even before they set foot into your wedding, the killer party invitation is the right way to go. This invitation combines some unique animations and a very fitting design and yet, all the information about the wedding is right there where they’re supposed to be. A clever invitation, isn’t it? Weddings can be extremely ordinary if you do everything as the name ‘wedding’ suggests. 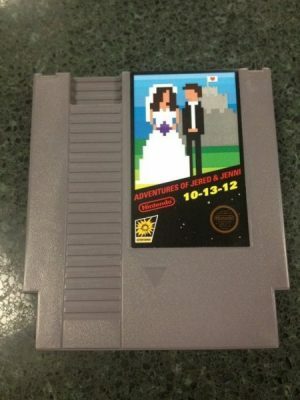 This couple decided to take it one step further and turn the wedding into a fun game for everyone. If you’re up to the challenge, you can steal their interesting idea and turn your wedding into something extravagant and more unique. With this invitation and the idea behind it, the chances of your wedding being dull or ordinary are non-existent. This particular invitation choice might not be the first choice of some couples, but if you are into bizarre and freaky, it’s an excellent choice for you. 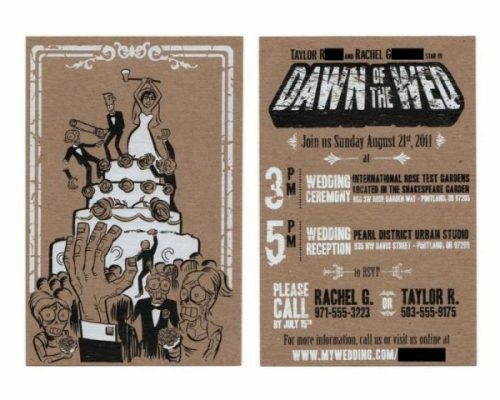 The couple went for a very unique, horrifying, and a rather creepy wedding invitation style. It’s a sure way to attract your guests’ attention, as long as they are as dark as you two are. 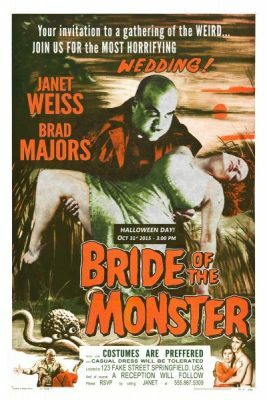 And if your wedding date also fits Halloween, you are looking at the greatest wedding invitation of all times. Asking people to wear masks instead of formal dresses can be very interesting and will probably be widely accepted. We all know and love Nintendo, but this couple loved it so much, they’ve decided to turn it into their wedding invitation style! 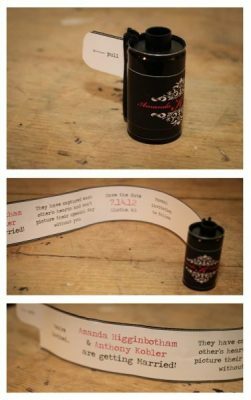 It’s another unique way to turn your wedding into a game and make it interesting before the guests enter your wedding ceremony. 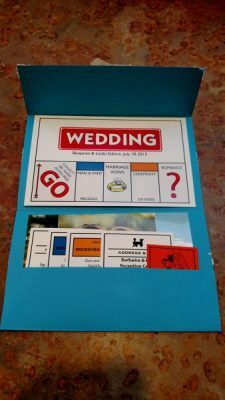 Of course, your guests would need to own a Nintendo to be able to play your wedding card invitation, but even if they do not, it’s still a fun way to invite them to the most important day of your life. And, you can always write all the important information right there on the invitation. Well, this is definitely a cheap way to invite people to your wedding and yet, it will be an invitation people will hardly ever forget. Why destroy nature by printing out hundreds of invitations when you can turn food into them? If they are lucky enough, the potatoes will become even more fun when they form new sprouts. Basically, you’re giving guests food even before they get to your wedding, so it’s a win-win, right? For those who are comic-lovers or enjoy space-related themes, this is something you’ll definitely love. 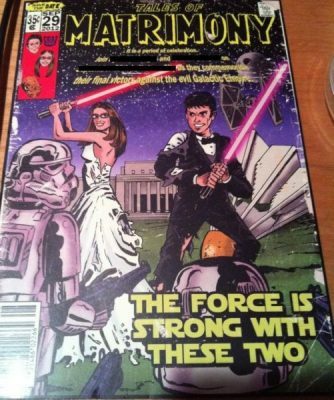 According to the person who posted this wedding invitation, the bride and groom decided to turn their entire wedding into a comic and use the same theme as their invitations. Who wouldn’t want to be part of this wedding? This invitation went dark real fast, but you must admit – you’ve never seen anything like this. 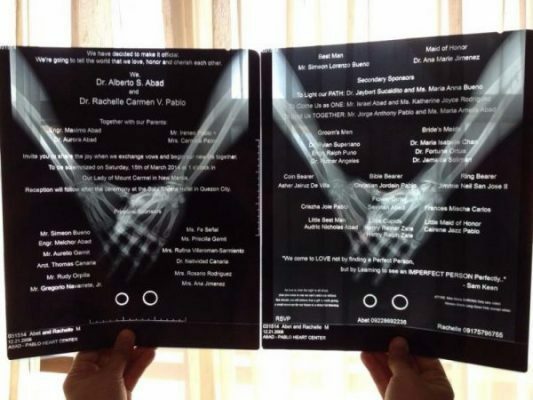 Whether it’s an invitation for those who are hopelessly romantic or a very unique way to invite the medical circle to a wedding, we don’t know. What we do know is that this invitation is definitely something refreshing and unique, despite the fact that it’s a bit creepy. Speaking of unique, nothing says special as handing a film canister instead of an envelope or a printed wedding card. 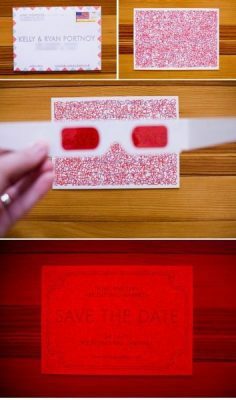 This is one of the most romantic and cutest ‘save the date’ invitations you can find. It’s not so hard to make – the link actually tells you what to order where and how to make your own invitation. Newspapers are slowly disappearing because of technology. It’s a pity, really. This couple decided to choose a vintage theme for their wedding invitations, and what better way to do it than by creating vintage newspaper invitations? Of course, filling out all that space of the newspaper will require some good writing skills, which is why we also recommend Australian Edubirdie to help you out. These wedding cards are so much fun and can come in different colours and forms! The decoder save-the-date invitation includes a red glass that reveals the funniest wedding invitation wording. When you receive such a nerdy, romantic wedding invitation, how can you check ‘no’ in the RSVP? Have you chosen a wedding invitation? This is a very important decision to make. If you decide to go with the classic, standard invitations, you won’t really make it special, will you? We hope that you choose a great idea from this list and if not, at least the inspiration to come up with something even funnier and better! If you do make a funny invitation that others might like, make sure to share it with us. Couples are desperately looking for new ways to make their weddings unforgettable. After all, this is one of the most important moments in a couple’s life. Robert Everett is a creative writer and an innovative event planner. He considers his innovative soul to be the best trait he has. Because of this, Robert uses his writing talent and skills to share creative and innovative ideas and thoughts with the world.